There is a common Chinese saying, “The arrival of the Winter Festival is more important than the New Year.” Among Chinese families, the arrival of Winter is to be celebrated like Thanksgiving in the United States. Although not officially treated as a national holiday in many cities like Hong Kong, Singapore, Shanghai, Taipei, Chinese families will have a hearty meal together. Companies allow staff to leave the office early to be home on time. Mothers prepare a wide spread of delicious dishes to show gratitude for the whole family gathering. 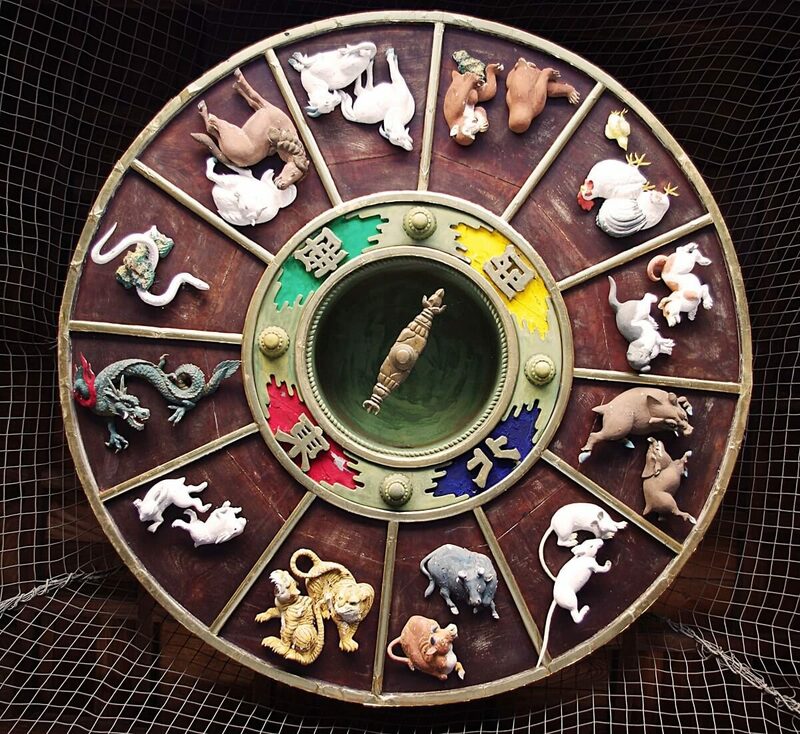 The date of the Chinese New Year changes every year to follow the Lunar calendar, and signify by the 12 Chinese Zodiac signs. There is no fixed date for the Chinese New Year. 2019 is the Year of The Pig and the New Year falls on February 5. Also known as the Spring Festival or Lunar New Year, the holiday marks the end of the coldest days welcoming the arrival of spring with hope of new planting and harvest. It is celebrated in other Asian countries such as South Korea, Thailand, Laos, Singapore and Vietnam. The Chinese New Year is celebrated by Chinese communities all around the world. In China, the festive week is referred The Golden Week holidays where almost the entire country shuts down, with offices and factories countrywide closed for the spring break. Chinese citizens travel thousand miles back to their hometown’s to pay respect to their elderly relatives. Technically, the 15 days celebration period marks one of the largest human migrations in the world. 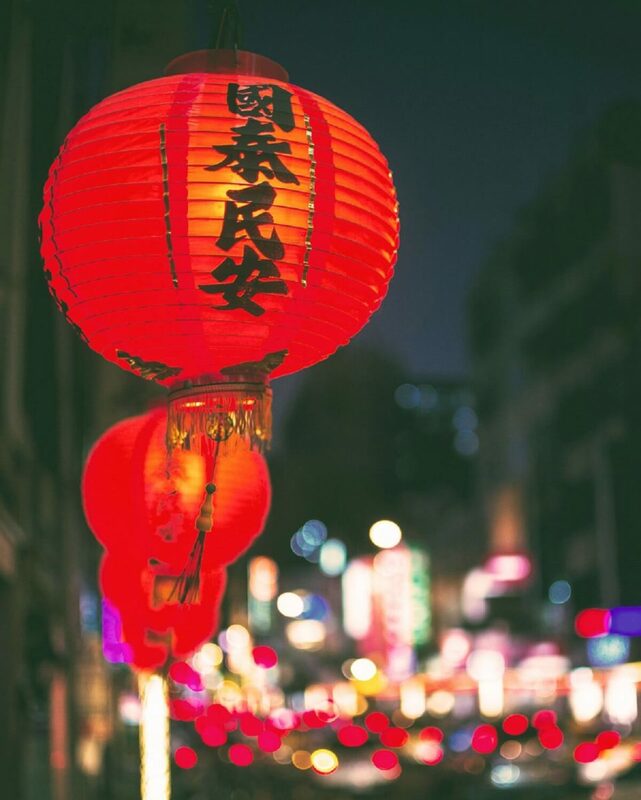 The celebrations of Chinese New Year officially ends on the first full moon of the lunar year, the 15th day and generally known as the Lantern Festival. It is a night of freedom and partying, and unofficially referred as the Chinese Valentine’s Day. 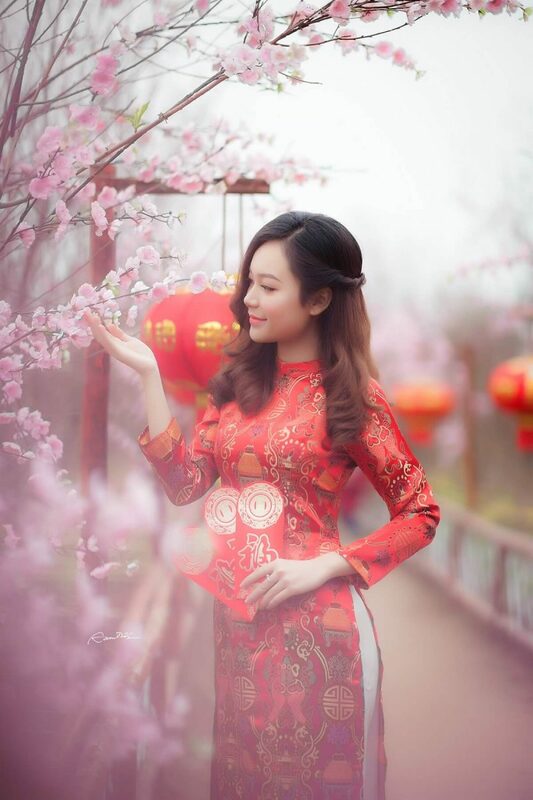 Red is the favorite colour for Chinese and also the main colour representation of the Chinese New Year. The colours to be favoured in 2019 in order to balance the energy flows of a year of the Earth Pig are red and white, whether it is for fashion trends, weddings, gifts or home decoration. Growing up in a four generation household with the presence of my Great Grandmother, and Grandparents, I recall seeing my Great Grandmother supervising the maids to make all the homemade puddings and snacks for Chinese New Year. We never brought any ready made holiday goodies from the retail shops. The Embassy of the People’s Republic of China for earthquake and flood victims in China, Kwong Siew Hospital, The Embassy of the Republic of Indonesia for victims from earthquake and tsunami in Sulawesi Island through Indonesian Red Cross, Community Learning Center Wat Arun Rajawararam and Pink Park Village to their offspring. The cash would always be new, fresh and crisp notes. Children were not allowed to use the lucky money for lavish spending but encouraged to save it in the bank. This may be one of the reasons why Chinese are frugal and have goodhabits in saving money, as we are all taught at a very young age.Days before the Chinese New Year, the spring cleaning is due in every household. However, on the actual New Year Day, the sweeping of the floor or hanging laundry are forbidden. New Year bazaars are common scene during this period. Shoppers walk along all the multiple vendors to stock up for fresh flowers and plants to be used in New Year displays. Candy bars and snacks to offer to families and friends who drop by for exchange visits. The Hong Kong Ladies’ Group is a Bangkok based, non profit making social group founded in 1991. 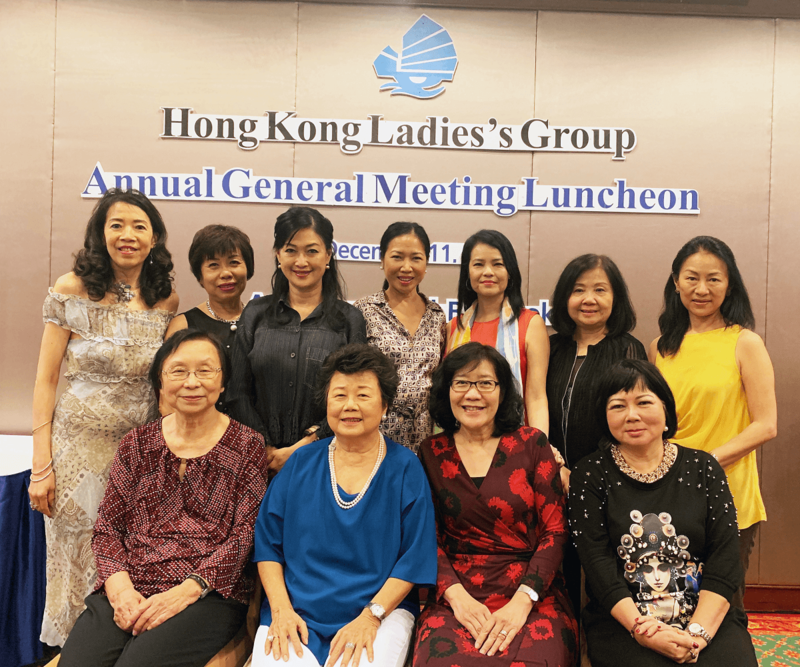 Our objective is to assist newly arriving lady expatriates from Hong Kong to adjust to their new environment and to meet new friends through the monthly luncheons and activities. Apart from promoting friendship, unity and mutual support amongst members during their residence in Thailand, HKLG has also established a charity trust, funds from whichare used to help the needy throughout the country. 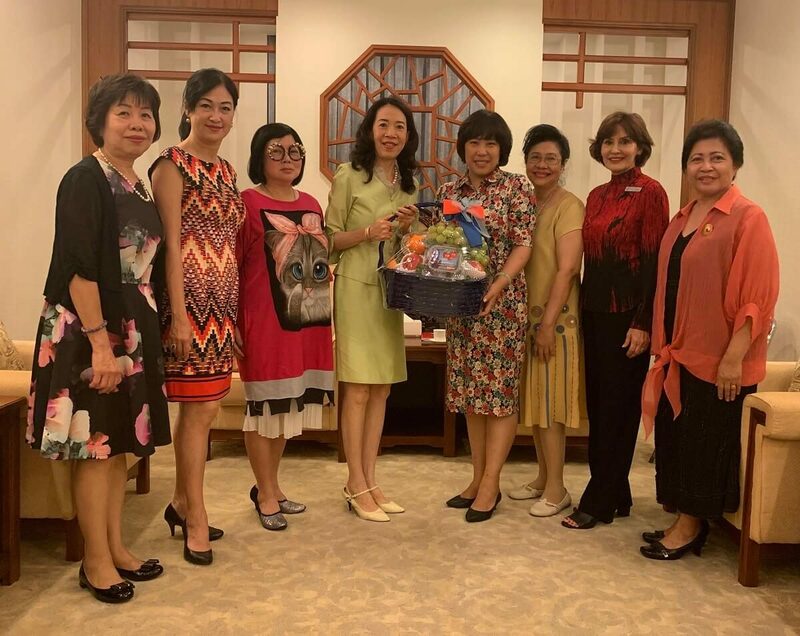 The patron of Hong Kong Ladies’ Group is the Spouse of the Ambassador of The Embassy of the People’s Republic of China to the Kingdom of Thailand. Madame Pan Peng is our current patron and she has graciously supported and sponsored us since her arrival to Thailand. 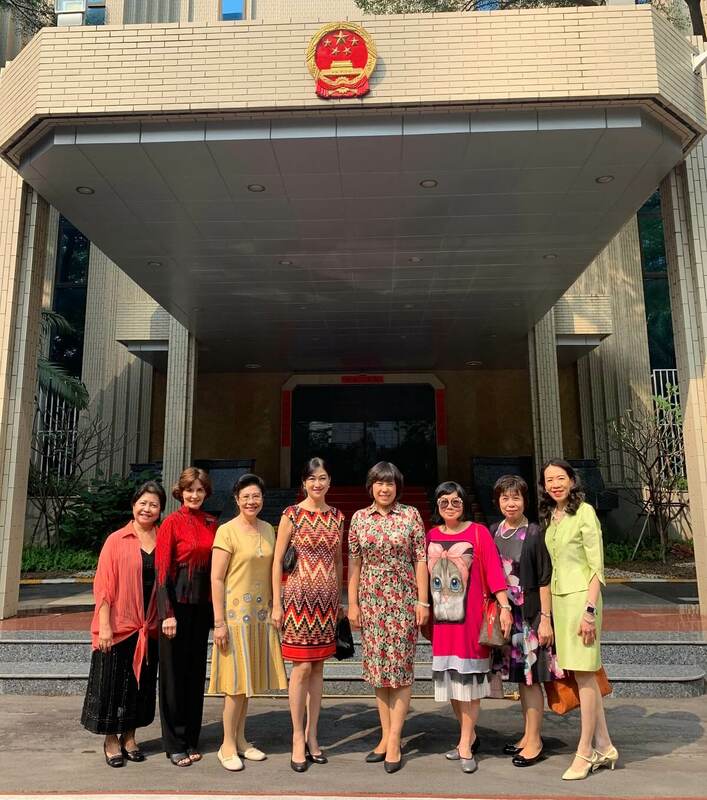 It is my pleasure to take this opportunity to introduce myself and the Hong Kong Ladies’ Group. I have been living in Thailand since I married my husband in 1979. I had a shop that sold Cantonese movie videos at the beginning then worked in a garment factory for five years, a luggage factory for two years for the same boss. I joined HKLG in 1997 when Betty was President. I worked as a volunteer in HKLG for 13 years and enjoyed my volunteer jobs. I loved to organize different events. 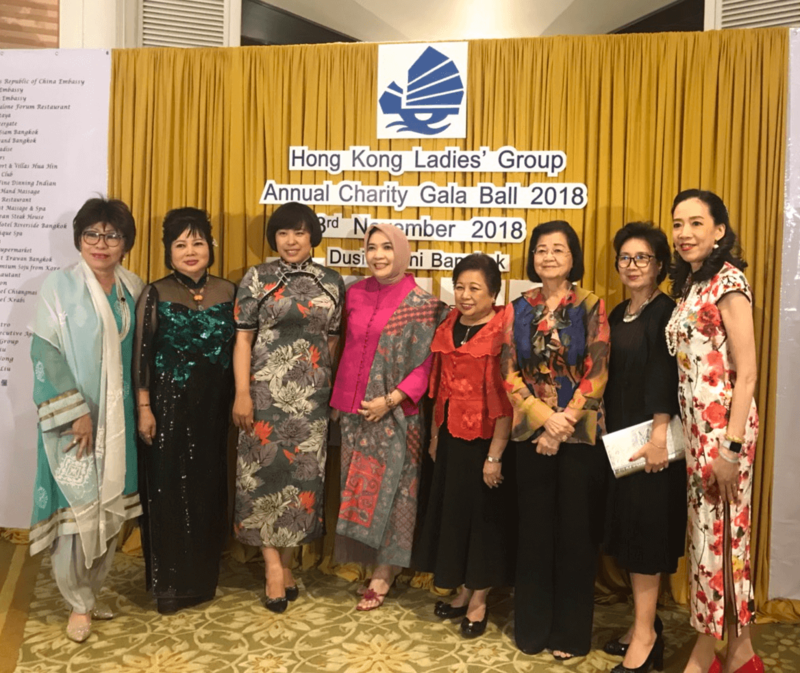 Hong Kong Ladies’ Group is a non-profit social group in Bangkok which started in 1991 with the aim of helping new expatriates from HK to get adjusted to the new environment and make friends through our social events and charity work in Thailand. 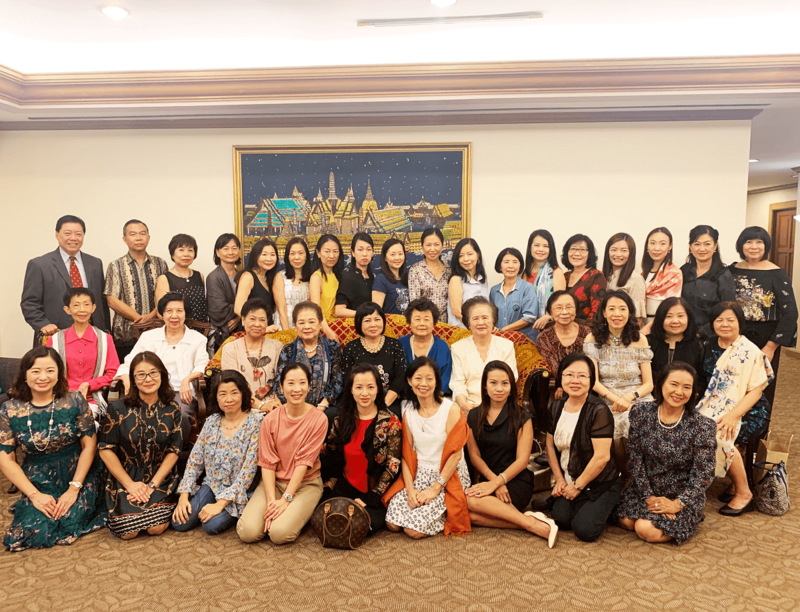 I worked on the committee for many years and I knew the committee members tried their best to organize the monthly luncheon for members and Charity Gala Ball for the underprivileged in Thailand. We have to support and encourage them every month and year. I hope our group will get more and more members every year. “Hong Kong Ladies’ Group is very dear to my heart. I was fortunate to be elected as President for two years back in 2003 and 2007. I was more grateful to be re-elected again in 2015 and led HKLG for the past four consecutive years. During this past period of presidency, I hosted three gala balls within four years, and shared the joy with many HK friends on the marriage of both my daughter and son. I was thrilled to be a grandmother three times over these years. 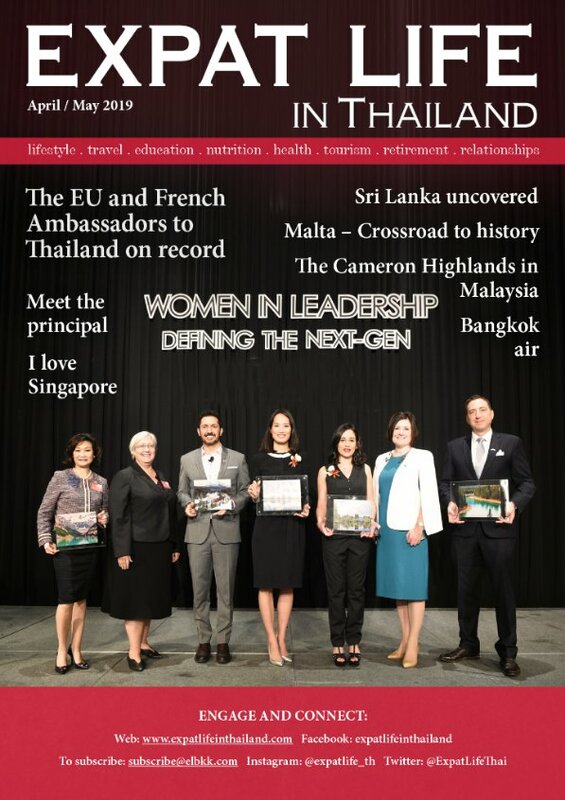 Our group has proven to be an anchor for the Hong Kong community in Thailand with an emotional connection to our motherland. The 2019 Rat Horoscope is prosperity and happiness this year. To avoid influence of bad luck, avoid funerals and stay away from hospitals. Remain healthy and strong by watching your diet and exercise. The oriental sign of Ox has a prime place in Chinese symbolism for its diligence, perseverance, tenacity and thoroughness. Your 2019 Ox Horoscope shows that you can expect a more auspicious year with some hurdles in between but overall stability is expected. Strengthen family bonds to prepare yourself for any unexpected storms in the coming months. For the Orientals, the Tiger symbolizes power, strength, dynamism, intense activity, independence. Many Tigers are courageous, active and self-assured, and make popular readers. 2019 is more productive, with helping hands to share support. Being relaxed and friendly is the right approach this year. In 2019 the Rabbit needs to prepare to work hard and stay calm to adapt the changing times of your horoscope. You will be able to make progress of your dreams, and expect development in your career, finances, and relationships. Learn to control your words and behavior to avoid disputes with friends. Remember to be extra careful when you travel on trips and excursions. The Dragon is a major Chinese sign for good fortune, power and luck. To the Orientals, the gifted Dragon possesses magical powers with a strangely lucky mystical side. In a confrontation, most Dragons have a tendency to misjudge the situation, and few are adept at extricating themselves from difficulties. One should note that most Dragons can be ferociously brutal when angered. In 2019, prepare to stay focused and maintain good deeds to ensure your luck lasts throughout the year. Be more compliant this year to build more affection. The Snake 2019 Horoscope shows this year has its challenges. Be active in presenting act of kindness to help balance out bad energy. Prepare to work harder this year to navigate any challenges. To boost more positive energy, attend more weddings and birthday celebrations, and minimize visits to funerals. Horses are hardworking, aggressive, ambitious, and intelligent with boundless energy and ambition but despise being pressured. Freedom and independence are as essential to most Horses. The Horse Horoscope 2019 shows that you can expect an excellent year ahead. Monitor your stress levels by working on your healthy lifestyle with exercise and a well-balanced diet. The Sheep Horoscope for 2019 proves to be a fantastic year ahead, as several of your lucky stars are on the horizon. Expect success in all areas of your pursuit. However, not to misspend your good fortune, do try to remain hardworking and reliable when dealing with important issues with significant values. Dear Monkey, in 2019 be prepared to take less risk which Monkeys are generally known for.The Monkey Horoscope for 2019 shows you may expect better outcomes this year. Share your fun seeking vibe with the Pig, and forget the hardships endured in the past years. The Rooster Horoscope 2019 predicts a more comfortable year ahead. Roosters will be better off to relax more than looking for new challenges. To ensure not fallen into bad fortune, it is best to avoid hospitals and funerals in order not to absorb negative energy around. Fill your days with leisure hours to attract positive energy. The 2019 Dog Horoscope shows that Pig and Dog are very different, so difficulties and challenges could arise. Dogs’ cautious approach will need to be adapted to the Pigs’ easy manners to ensure success this year. 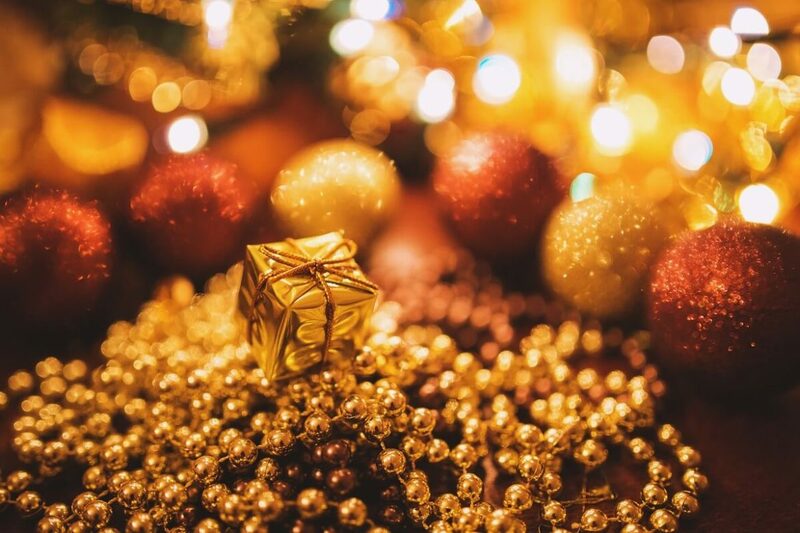 Practice more simple charm to make the most of your fortune this year. The Pig 2019 Horoscope is the year of one’s zodiac sign. Traditionally not a lucky year so pigs will most likely experience emotional ups and downs. It is best to try and keep calm at any trying situations.